With many great pictures and stories, Ranger Rick Jr. teaches children about the variety of animals in our world. You can also use the magazine to reinforce your child’s letter and number skills. Activities this month are animals that fly and number recognition. With the Table of Content on page 2, ask your child to find the number 26. Then read “Things with Wings” next to the page number. Ask your child to name things that fly (he or she might respond “birds, insects, and bats”). Have your child turn to pages until he or she comes to number 26. This is a trick question since there are pages with numbers 25 and 27, but not a 26. Give a compliment if he or she stops on the page after 25. If this is confusing to your child, explain that the number 26 is missing from the page, but we know the correct page because the number 26 comes after 25 and before 27. 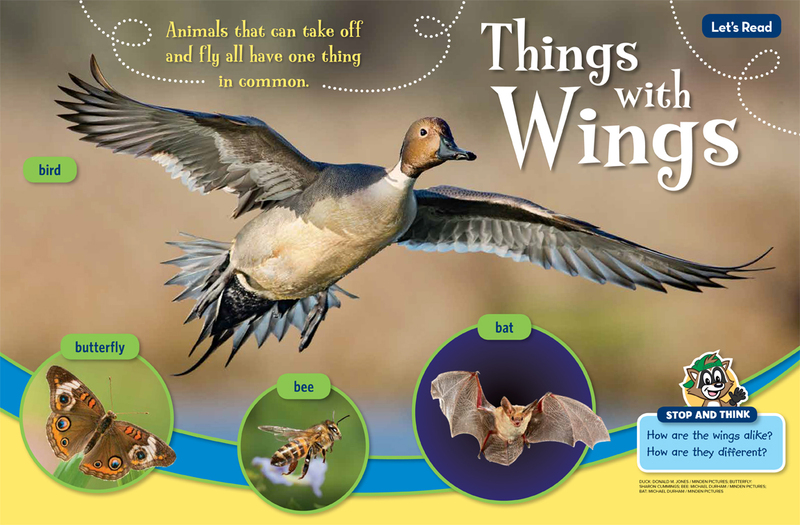 Ask “What do the animals on pages 26–27 have in common?” The answer could be wings and the ability to fly. Encourage your child to talk about how these four animals are similar and different. After a short discussion, read the descriptions on the next four pages about birds, bats and insects. 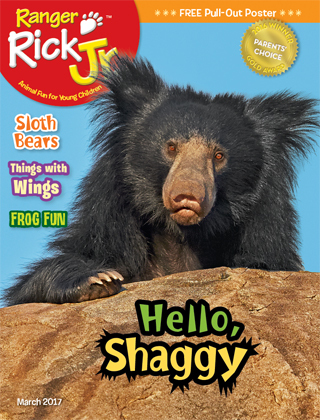 Play a number game by having your child count all the animals on pages 26-31 in this issue of Ranger Rick Jr. The correct number is twelve including nine photographs and three animal drawings. Asking questions and playing games can be fun for both you and your child.